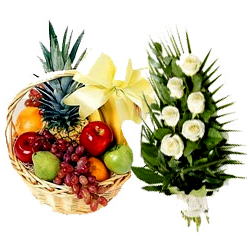 If you want to give a refreshing gift to someone special on occasion like House Warming, Anniversary, Birthdays, Raksha Bandhan, Bihu, New Year etc then Sending Fruits Basket to Guwahati Same Day from our website is the best gifting option to go with. 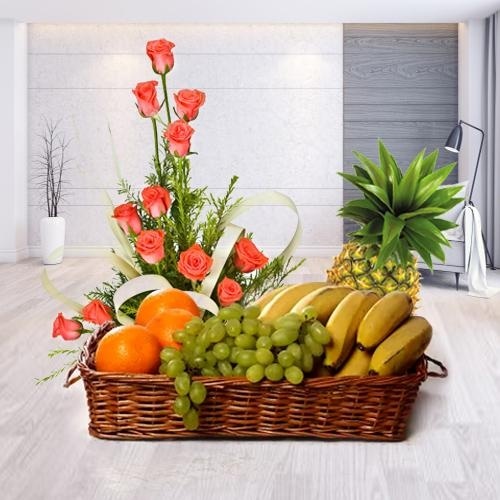 To deal with festive occasions we provide a massive assortment of Fruits like Oranges, Pineapple, Kiwi, Green Apple, Watermelon, Custard Apple, Strawberry, Coconuts etc that comes beautifully arranged in wicker Basket and available at Low Price. 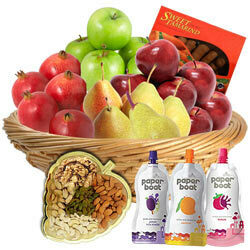 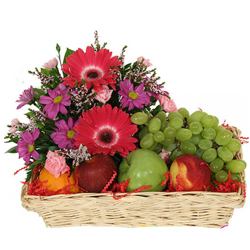 Along with Fruit Baskets you can also send Cakes, Chocolates, Flowers, Gift items and lot more for an added touch. 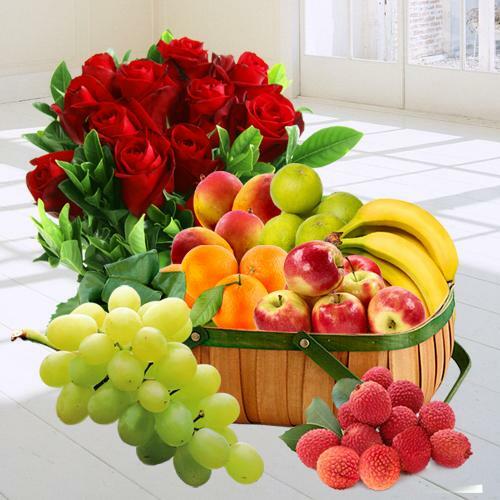 So, just grab a right Basket of Fruits Online and we ensure Quick Delivery of Fresh Fruits Basket on the same day and even at mid night to Kahilipara, Rukmini Gaon, Geetanagar, Azara, Nalapara, Jyoti Nagar, Bhangagarh, Chandmari and to many such places of Guwahati with Free Shipping. 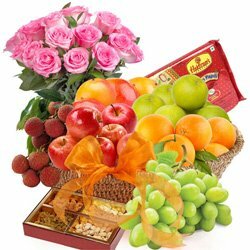 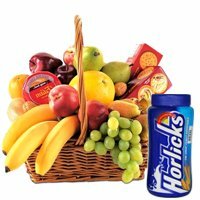 A healthy Fresh Fruit Gift Basket is a joy to receive and a pleasure to send, so Order Online for Fresh Fruits Basket today and Send Fruits Basket to Guwahati Same Day from our e-tail for someone you really care about. 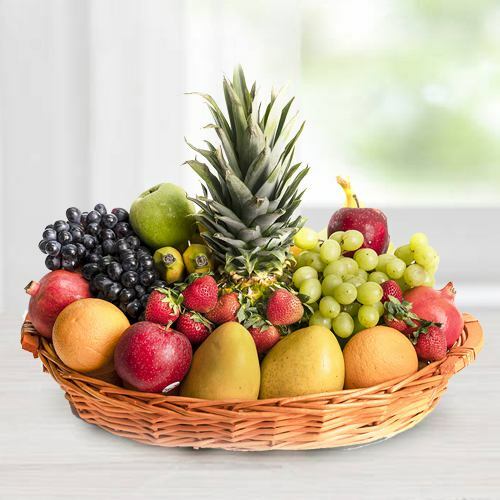 Just unveil our vast collection of Fruits Basket that include everything from appetizing Green Apples, Custard Apple, Pomegranate and Oranges to exotic Litchis, Cherries, Strawberry, Mangoes and Pineapples all available at Low Cost. 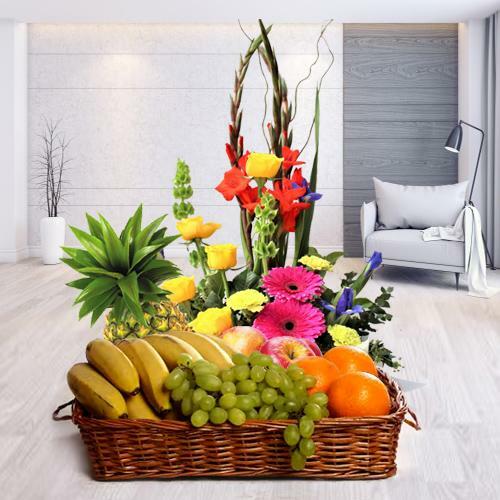 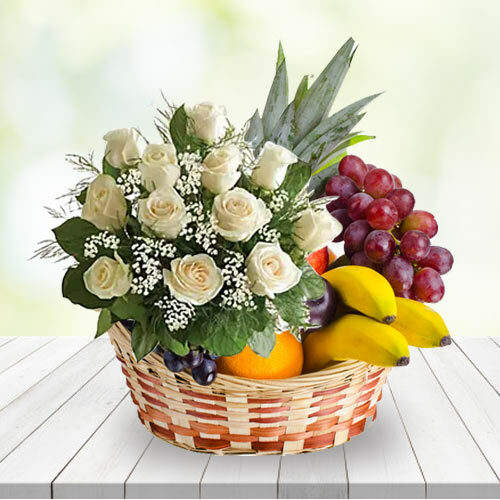 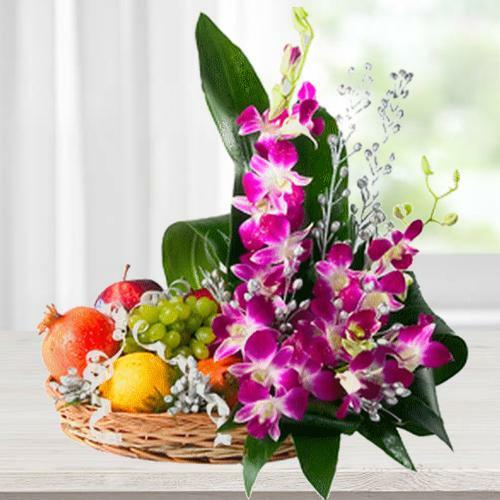 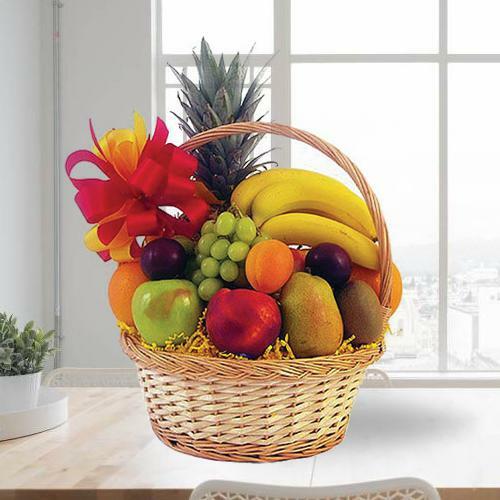 Our fabulous Fruit Baskets is ideal for Birthdays, Marriage Anniversary, New Born, Christmas, Mother�s Day, Father�s Day or to say �Thank You� and for Sending Sympathy sentiments also. 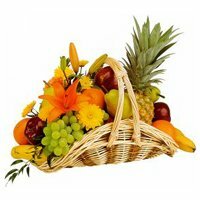 With our wide delivery network we can Send Fresh Fruits to Guwahati on the same day and even at mid night in hassle free manner. 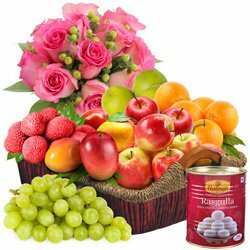 Whatever may be the occasions like Birthday, Anniversary, Mother�s Day or festival like Diwali, Raksha Bandhan, Durga Puja, and Christmas etc Sending Fresh Fruits Basket to Guwahati can always adore the celebration in style. 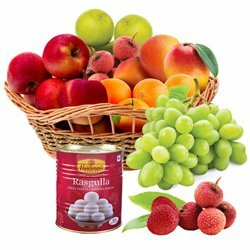 We create perfect Fruits Basket by taking into account variety of Fresh Fruits like Guava, Peach, Oranges, Pineapple, Kiwi, Green Apple, Watermelon, Coconuts, Grapes, Banana, Papaya, Mango and lot more. 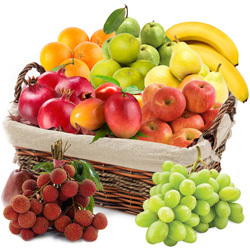 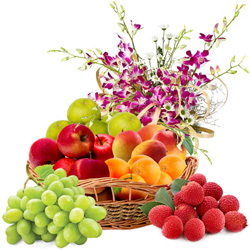 If you decide on Sending Fresh Fruits Basket to Guwahati Same Day then we also guarantee Quick Delivery of Fresh Fruits all over Guwahati, Assam without any added delivery cost.